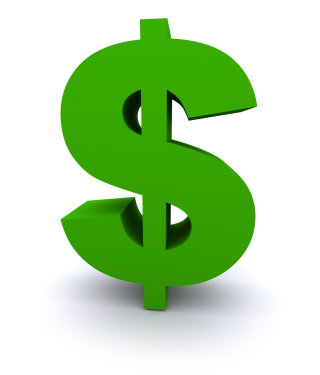 You and everyone else want to know where the best Canon digital camera memory card prices are. I get it! So do I, but remember that the cheapest priced memory card isn't the least expensive if it doesn't last or won't perform properly. I'll give you the quick answer in a second for the best prices for digital camera memory cards, but first there are a couple of critical details to pay attention to besides the cheapest price. Reliability. Think of your card as a safe to store and keep all your valuable possessions. You're counting on it to work every time without fail. Durability. How affordable was your Canon memory card if it only lasted for a few uses before that dreaded error message "corrupted card" painfully flashes at you after you just took a great photo? Speed. If you're shooting sports, wildlife, or any video longer than a few seconds, your memory card has to keep up with your new digital cameras speed or your precious photos will be caught in a traffic jam. 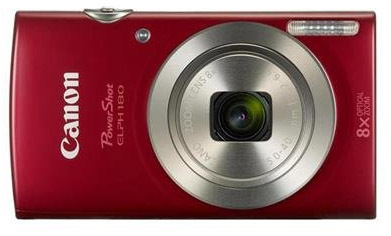 These are all important aspects that do come into play when looking at the prices of memory cards for digital cameras. Capacity is no longer a factor. There, I said it. The memory card technology has gotten so good and prices have come down so much that you just don't need to buy an undersized memory card just to save money. It simply makes no sense. of regular jpg images on this 64GB card. Here's a chart from Verbatim, a company whose blank CD and DVDs I've been purchasing for many years. Look at how many photos fit on the 32GB and 64GB cards, based on your photos being about 10 MB each. If your camera only gives you photos that are only about 5MB in size, you can look at the numbers in the chart and double them. You see what I mean? That's more storage than you'll ever need. Just remember to backup your photos onto your computer hard drive or a cloud storage system of some sort and then format your card for a clean start every so often. Like any other Canon camera accessory, how valuable is a memory card if it has very limited reliability. For the most part, this is an issue that only shows up if a card has been physically abused, damaged, or you tried to remove it when it was reading or writing. You're still in some danger of reliability issue if you buy an off brand that has a reputation of el cheapo memory cards. Modern memory cards are solid state and have no moving parts, so their failure rate in general is quite small. Early on in the progression of memory cards, when the technology was still immature, there were devices called micro drives. They were very unreliable and often caused nightmares for wedding and other pro photogaphers. Literally they were tiny motor driven, spinning hard drives that had good capacity compared to "flash" memory" but very inconsistent reliability. In 2006 "flash" memory cards capacity passed micro drives and they fell out of favor very quickly. I knew several pro photographers who used micro drives early on and I was astonished that they would take those risk with their client's photographs. Microdrives were the first "memory cards" able to store 1 gigabyte of information. They were several hundred dollars for just 1 GB of memory! Can you imagine that? That was a lot of capacity at the time, but I still didn't want to risk losing any images and so I chose to use several lesser capacity compact flash memory cards instead. 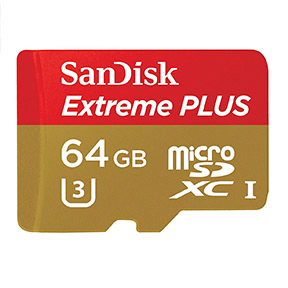 If you are only going to use a memory card once, like a disposable camera, then it does make sense to get the absolute cheaply priced card on the market. Shots a few photos, some in very rapid sequence to make sure your camera doesn't choke when writing them to your card. Shoot a nice long clip of video, too. Insert your card back into your camera and erase everything using the "format" function on your camera. Repeat this a few times to give it a full blown test. If the card doesn't meet your expectations return it right away. Camera memory cards will last for a long long time if you treat them right. Generally cards will fail only when they are brand new or getting old. There are a few proper procedures to follow when you are using your Canon digital memory card. Never remove or insert a memory card into your camera unless your camera is completely off. Never remove your memory card from your USB adapter on your computer until all files are completely copied and you've closed and folders you were using on your computer. If you are shooting HD video or rapid sequences of photographs, particularly if you are shooting in your camera's RAW mode, you need to have a card that can be written to quickly. If your card is too slow, it is of little value for you to use with certain types of photography or video. Digital Cameras with small sensors produce small image files that don't take a long time to write to a card. You can get away with cheaper cards with slow write speeds in these instances where you are using one of the Canon point and shoot cameras. Here are symbols and numbers on an SD type of camera memory card and what they mean. SD means the card has a capacity of somewhere between 2 gigabytes and 32 gigabytes. Two gigabyte cards (2 GB) are petty much totally obsolete at this time. Memory cards are so affordable nowadays that it makes no sense to buy anything less than 32 GB. Even if your Canon camera has a small sensor, it's really not a big deal to have extra memory capability. 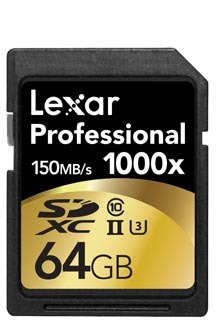 There are two main types of digital camera memory cards and a few that I'll mention only briefly. CF stands for Compact Flash Memory and SD stands for Secure Digital. 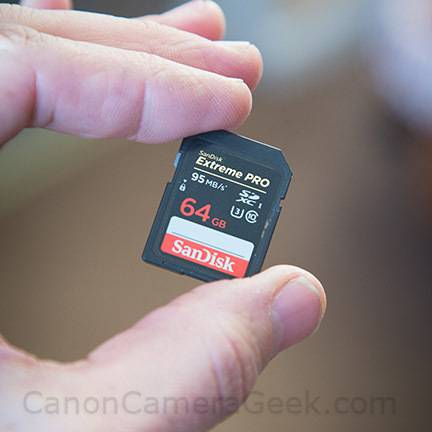 Most newer cameras use the SD cards with the exception of the higher end "pro" cameras. My Canon 5D Mark III takes both and that's a feature that I really enjoy having. I have the option to write to both cards at the same time if I am worried about having back-up images right away. 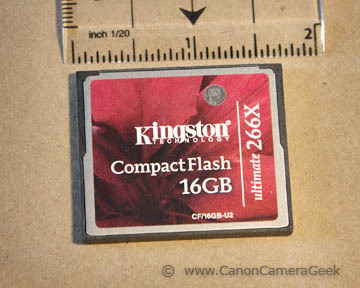 CF = CompactFlash and is about 1 3/4 inch square in size and about 1/8 inch thick. 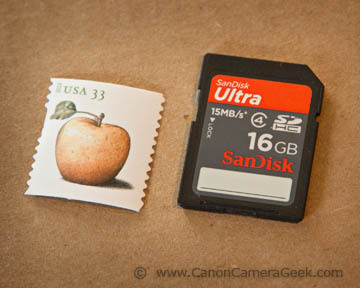 SD = SecureDigital and is about the size of a US postage stamp and thinner than CF cards. 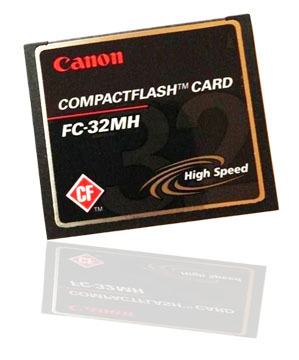 There are two main kinds of CF cards, Type I (3.3 mm thick) and the thicker Type II (CF2) cards (5 mm thick). 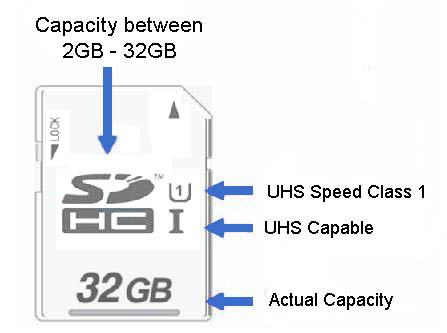 There are three main kinds of SD cards, SD. SDHC for high capacity and SDXC for extra capacity. There is also a SD UHS-1 designation for either of the last two which stands for ultra high speed. Ultra high speed may be needed for shooting HD video as well as when shooting RAW files in a rapid sequence. Are you confused yet? Generally speaking, your camera will very likely be compatible with most of the SD cards on the market, unless your camera is quite old. 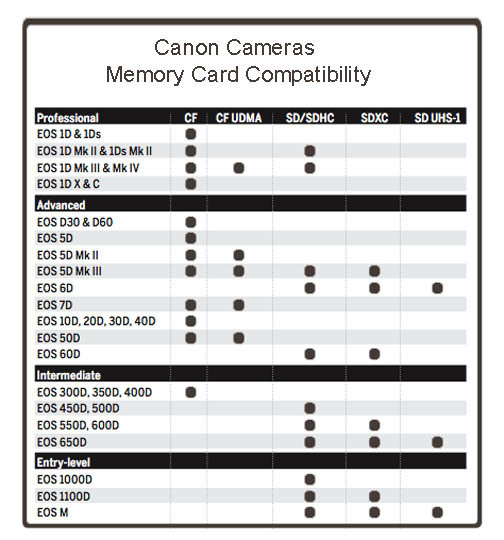 Your camera manual is the best place to check compatibility, but the chart below may help you with too. I spend a lot of time reading articles on cameras and accessories and came across an opinion poll taken on one of the really big digital photography sites. The photographers who voted on their favorite memory cards are professionals and advanced hobbyists. I spend a lot of time reading articles on cameras and accessories and came across an opinion poll taken on one of the really big digital photography sites. The photographers who voted on their favorite memory cards are mostly advanced hobbyists with a few pro photographers mixed in. These were the top 4 digital camera memory card makers at the time. You simply can;t go wrong with any of these memory cards for your Canon camera. These aren't necessarily the best memory cards, but they were the most popular at the time of this post. has a high rating of 4.0 stars or better from consumers. 2. On-line retailers - Amazon is my favorite for great prices on everything as well as a great return policy. 3. Discount stores like WalMart, KMart, and Target. If you want just a little extra buffer in terms of speed and capacity, you'll never have issues with running out of memory or a delay in reading or writing to this card. It's just a little pricier, but you'll never need another card, even if you upgrade to a bigger Canon in the future. 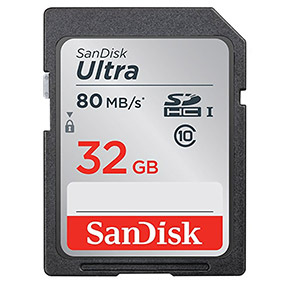 If you're a little more frugal and don't need the write speed of shooting off bursts of 20 large RAW files or 4k video, this memory card will be a really safe pick for you. This is still faster than Sandisk's Ultra SD which was a really fast card to begin with. 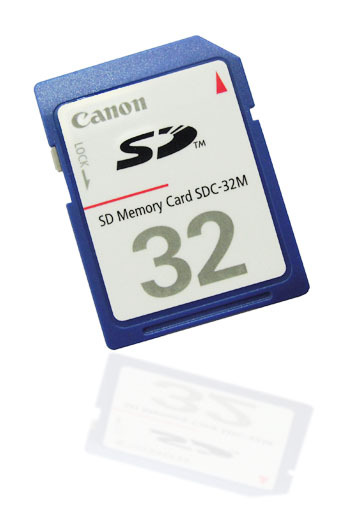 I have this same memory card in an earlier version (only 30MB/sec) and I've never had an issue shooting with my Canon 5D Mark III or my Canon 70D. 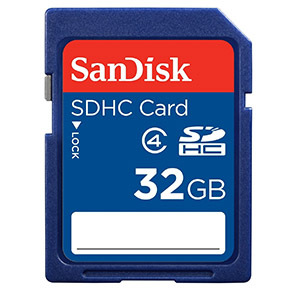 If you're really frugal and only shoot a few single photos at once and you really don't shoot video at all, this memory card makes the most sense for you. You still can fit a ton of photos on this card and it's highly rated by the people that matter most, the consumers who've purchased this card and have used it. Memory card prices continue to fall. The price you pay for high capacity memory cards has become remarkable.